"7 Days in Entebbe" is a historical thriller directed by "Narcos" executive producer and "Elite Squad" helmer Jose Padilha that recounts the 1976 hijacking of an Air France flight en route from Tel Aviv to Paris and the ensuing rescue operation. The film tries to be both a factually accurate docu-drama and an entertaining hostage thriller. It pretty much fails on both fronts. While the historical accuracy of any movie making such claims never holds up to much scrutiny, I was more disappointed by how disjointed the film's intentions are. While there are some complex political implications to be explored, the film briefly touches on interesting topics with throwaway lines blurted out by underdeveloped characters. The lack of depth and inability to establish a deeper context for the events taking place on screen seriously undermines the movie's tension and neutralizes its stakes. 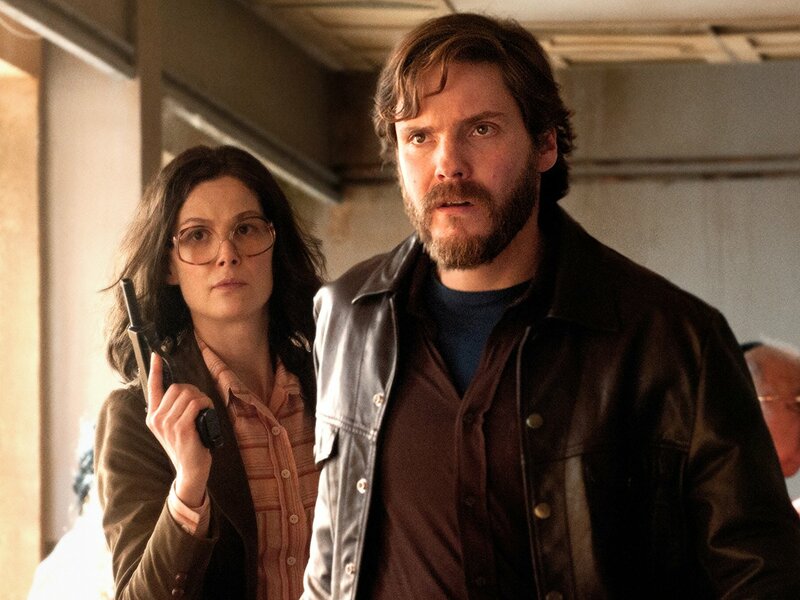 Despite decent production values and okay performances from its cast, particularly Daniel Bruhl and Rosamund Pike as a conflicted pair of terrorists, there isn't much to care about. Between scenes featuring the terrorists and hostages, scenes of Israeli authorities trying to figure out their next move, and scenes of special forces soldiers preparing for a seemingly impossible rescue operation, the film breezes past plot points like it's on a deadline. As a result, the final assault feels anticlimactic and surprisingly underplayed. A much better film, featuring a similarly true story, was the 2010 French thriller "L'assaut" ("The Assault"), which built up its tension with great precision so that the final rescue could give audiences a cathartic feeling. As for a more thoughtful exploration on terrorism and the endless cycle of violence, I recommend revisiting Spielberg's extraordinary "Munich". Overall, "7 Days in Entebbe" is a missed opportunity. There are some mildly interesting moments, including the appearance of the Batsheva Dance Company intercut throughout various tense moments in the film, but if you're looking for a solid historical drama/thriller, you can certainly do better.